What is agency? How can we spell out this important and far-reaching notion in such a way that it excludes trivial cases, includes human and animal agency, and leaves conceptual room for possible artificial agency? What is the physical basis for agency, and how do agents figure in theories and practices of physics, esp. quantum physics? What is the current and future status of artificial agency? Can artefacts be free agents? The conference will feature speakers from the areas of philosophy, physics, and AI / cognitive science / robotics. The conference aims at bringing together a group of researchers from these disciplines for a real interdisciplinary exchange. By scheduling long slots (45min talk + 30min discussion) and ample breaks, we hope to create an atmosphere for open discussion across disciplinary borders. Talks should start in a way that is accessible to a fairly general audience, and then move on to discipline-specific detail. The fairly large share of philosophy (approx. half of the talks) is meant to secure a solid conceptual foundation, while other disciplines are invited to contribute empirical questions and results. By the end of the conference we hope to have a clearer view on our three key questions. The (preliminary) answers reached at the conference constitute important steps on a way towards a better picture of the place of agency in the natural world. 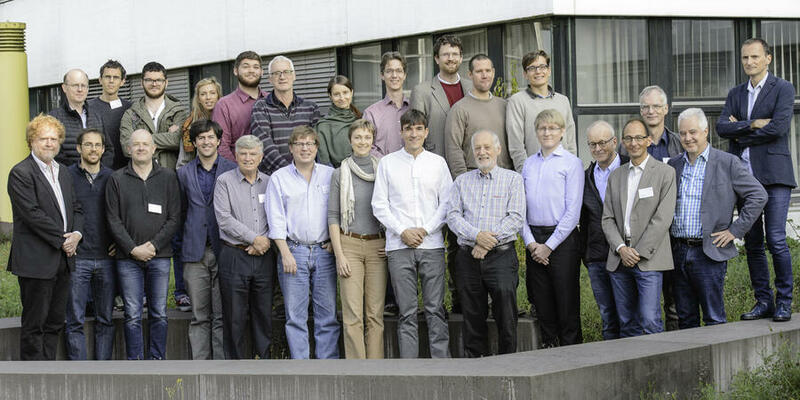 This is the main conference of the project Agency and (quantum) physics. For details of the project Agency and (quantum) physics, see our web-page. This event will be preceded by a Master class on Agency and (quantum) physics, for details see the Master class web-page. The conference is funded by the Templeton World Charity Foundation. The program of the conference covers invited talks only. The conference fee is EUR 80, and will cover coffee breaks and lunches. Unfortunately, we have a limited capacity for the conference, and we cannot guarantee that all interested parties will be accepted. To express your interest for participation in the conference, we ask you to send an application to aqp2016@uni-konstanz.de, with the subject line Application Conference aqp2016, and we encourage you to apply early. A statement of interest, approximately 100 words. This information, together with the order of applications, will help us in prioritizing among participants. The book of abstracts is now available and can be downloaded by clicking here. The conference takes place at the University of Konstanz, room Y311. Hotels for invited participants have been booked and will be assigned to the speakers directly.